I always wear red during the Holiday Season. Red is easy to wear during the daytime when paired with denim and neutral tones. I am obsessed with silks and velvet materials. This silky top by Guess comes in several colors and is oh, so comfortable and chic! (Without paying the costly price of real silk.) I paired the blouse with one of my favorite belts! 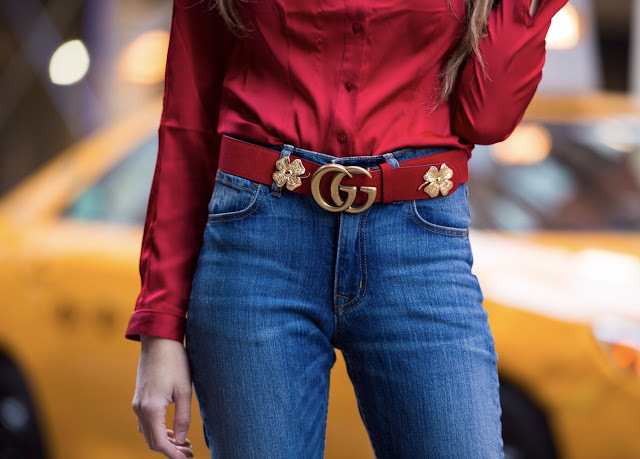 I am obsessed with this red suede limited edition Gucci belt. A pop of red can really add life to your look. I added my camel Trina Turk coat, and olive green Givenchy boots to keep the focus on the red. 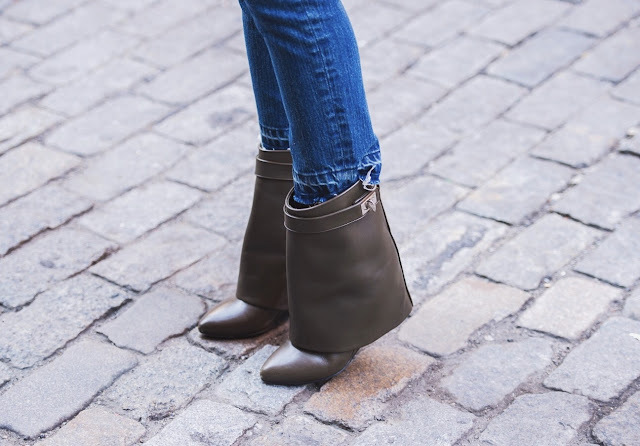 Shop this look by clicking the links above, and shop similar items at the end of this post. Your red Gucci belt is so cool! I haven't seen one like that yet!